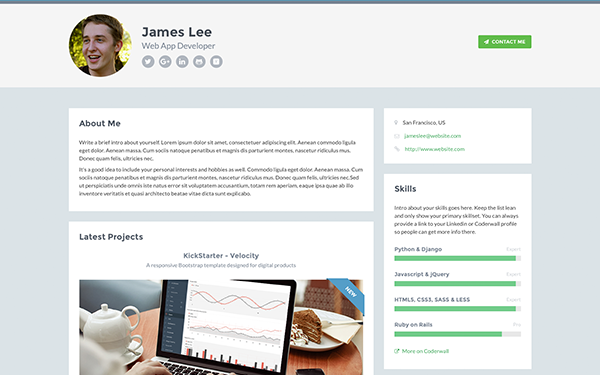 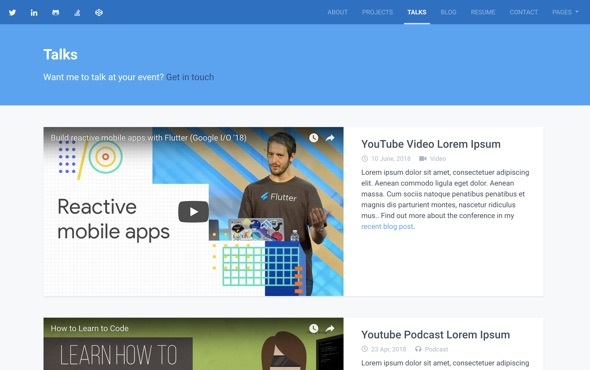 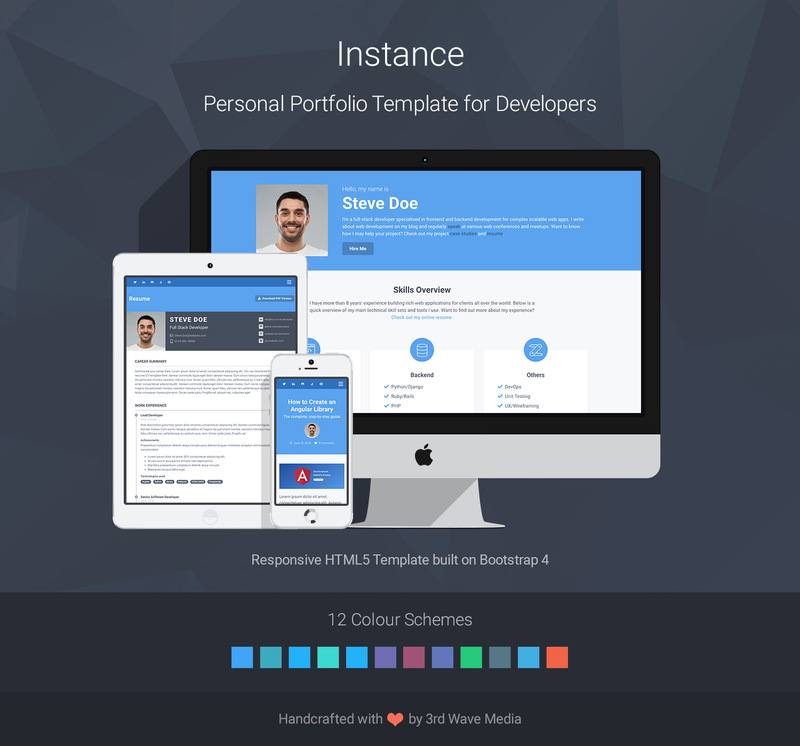 Instance is a Bootstrap 4 portfolio template tailored for developers. 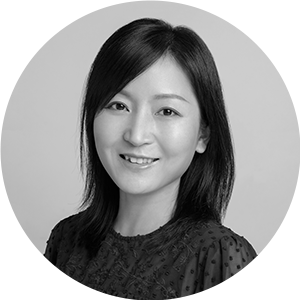 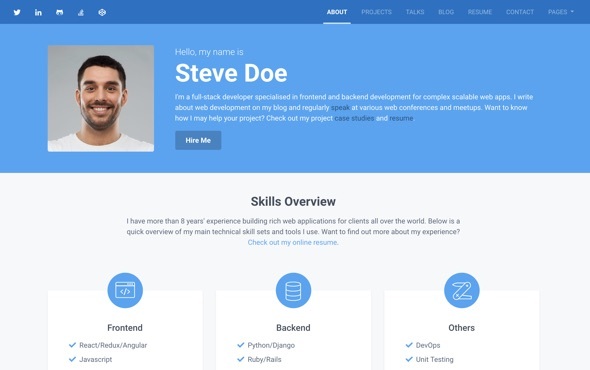 The UX design is focused on selling a developer’s skills and experience to potential employers or clients, and has all the winning ingredients to get you hired. 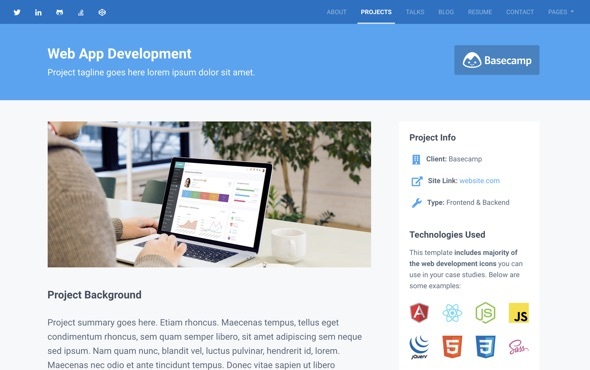 It’s not only a HTML site template but also a marketing framework for you to build an impressive online presence with a high conversion rate. 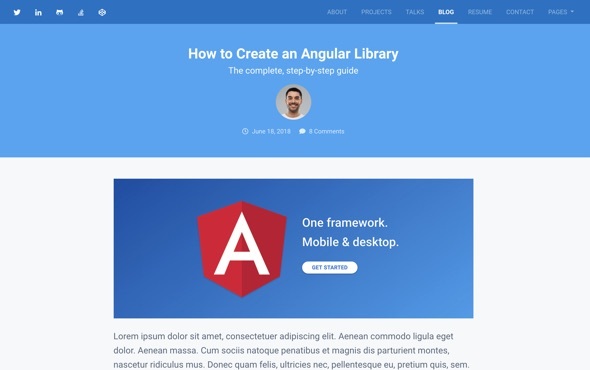 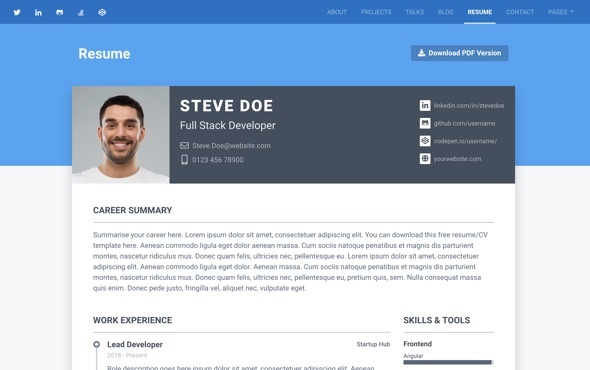 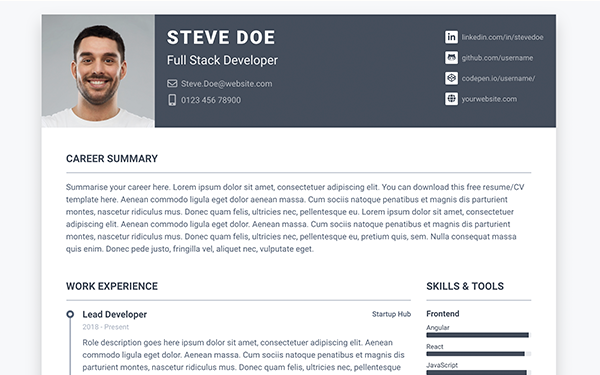 If you are a senior full-stack developer, this template is perfect for you to build your personal brand online. 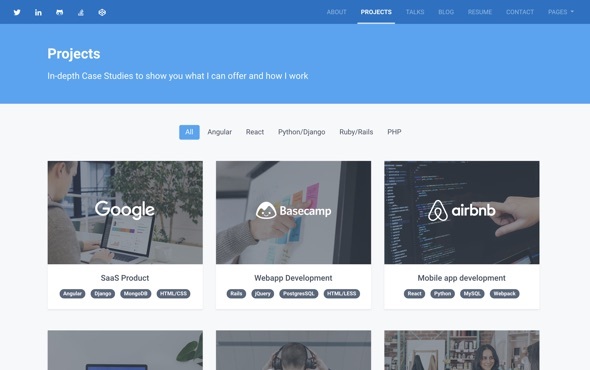 If you are a junior developer, you can pick the sections/pages to get a basic online presence first and scale up your portfolio as your skills and experience grow. 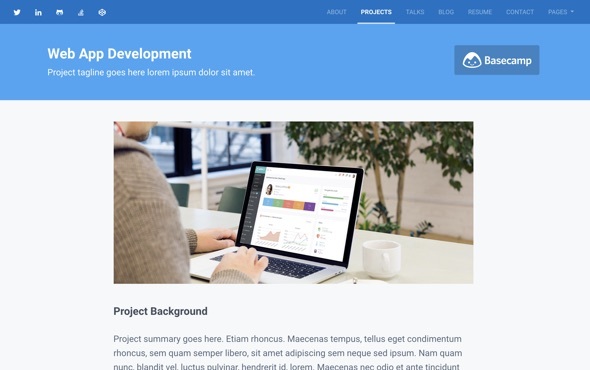 Built on the latest Bootstrap 4 framework and SASS, all the sections/components were written in a modular way so its quick and easy to customise the template to suit your needs. 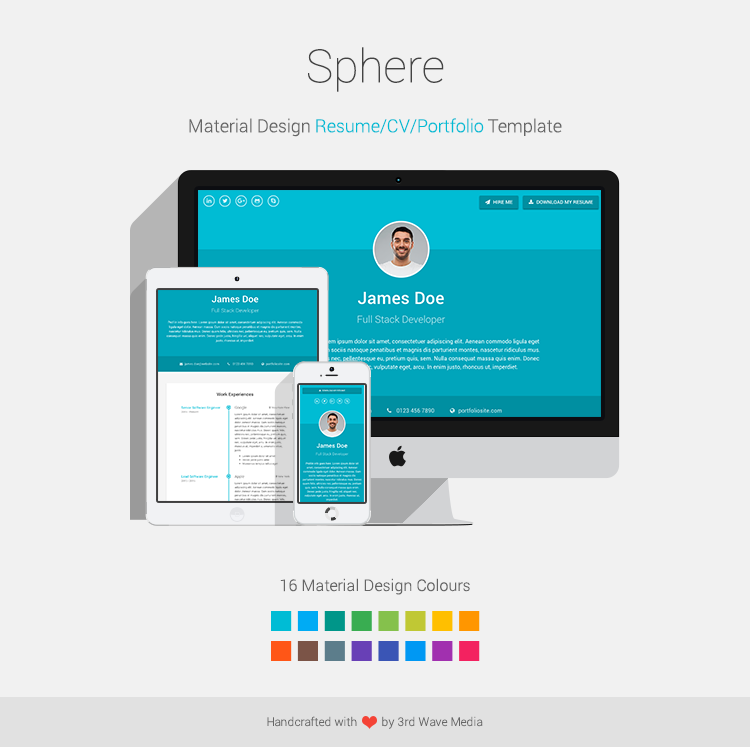 This template comes with 16 hand-picked colour schemes and it’s super easy to customise your own colour scheme via the theme SCSS source file. 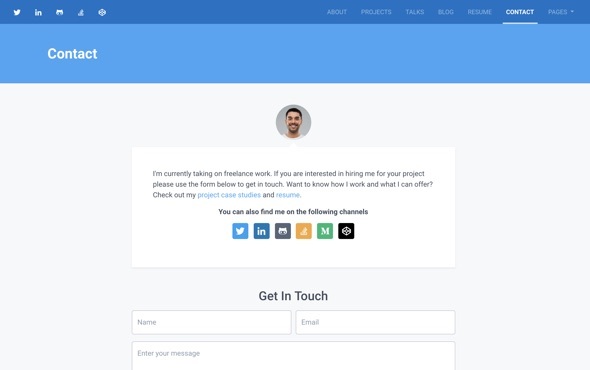 The mobile viewing experience is great too so even people checking your site on the go won’t miss any important information/details about you! 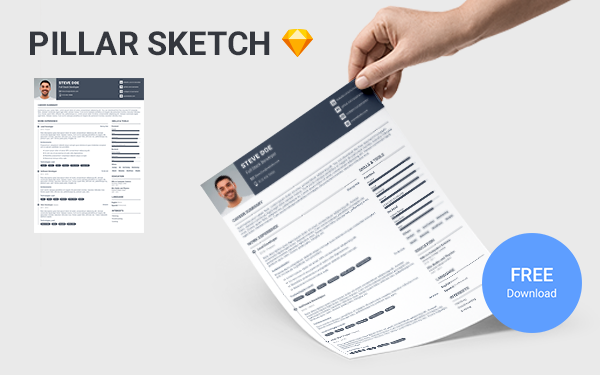 We’ve released a FREE Sketch design template Pillar Sketch. 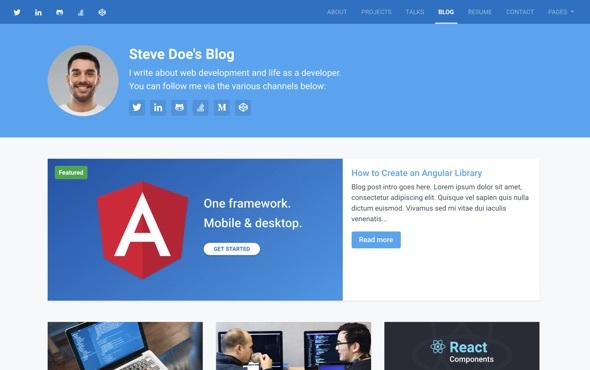 If you are using this theme, you’re welcome to leave a review below.